4. Head office: No. 51, Lane 82, Pham Ngoc Thach Street, Quang Trung Ward, Dong Da District, Hanoi, Vietnam. 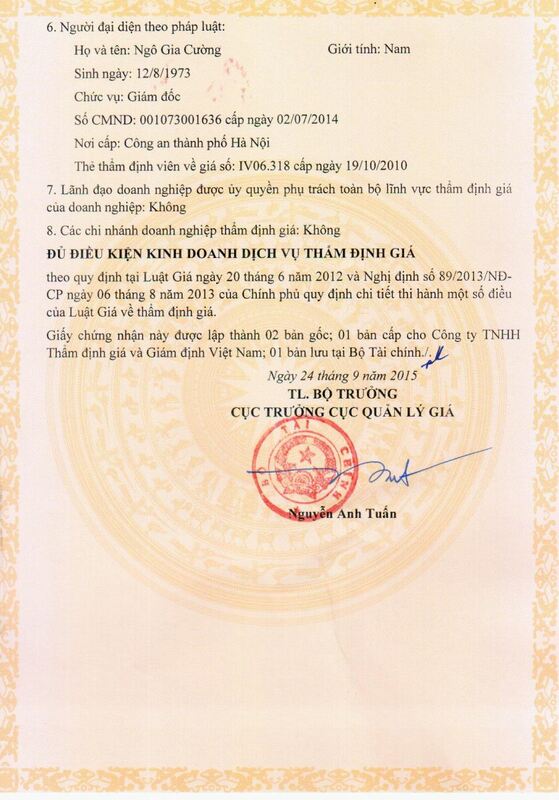 In accordance with the Law on Price dated June 20, 2012 and Decree No. 89/2013/ND-CP dated August 6, 2013 of the Government detailing the implementation of a number of Articles of the Law on Price on price appraisal. 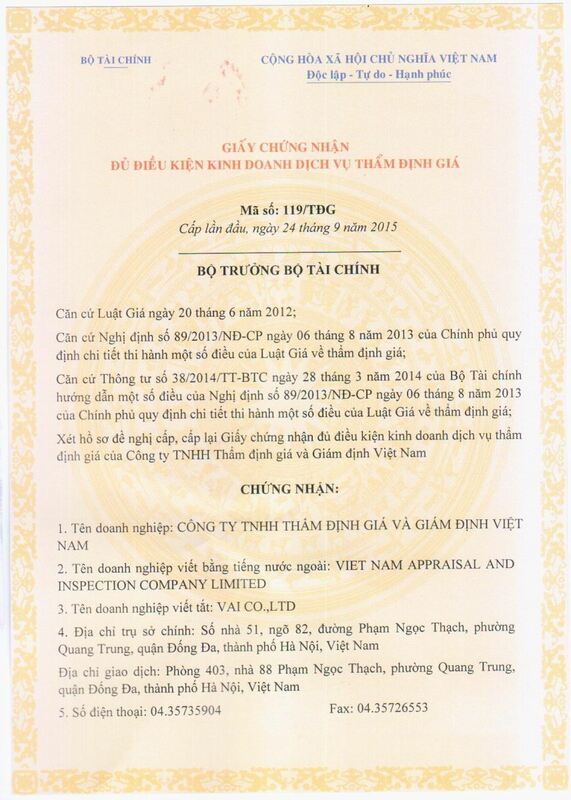 This certificate is made in 02 original copies; 01 issued to Vietnam Appraisal and Inspection Company Limited; 01 saved by Ministry of Finance.